Whole wheat flour recipes are more in demand now. As more and more people become aware that whole wheat flour is healthier than plain white flour (white flour/maida), they are looking for ways to substitute plain flour with whole wheat flour. You can see in the image below, the wheat field, whole wheat grain and whole wheat flour. 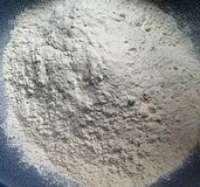 Whole wheat flour is known by different names. Whole wheat flour is also known as 'whole meal flour' in UK or 'Graham flour' USA. The different names in Indian languages for whole wheat flour are as follows. 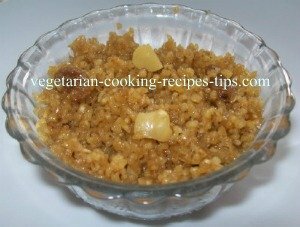 Whole wheat flour is known as gehun ka atta(Hindi), gavhache peeth or kanik(Marathi), godi hittu(Kannada), godambi mavu(Tamil). 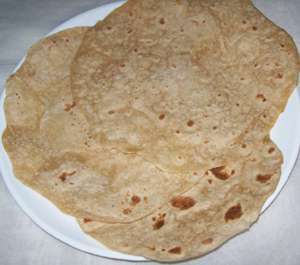 In Indian cookery, the everyday flat breads as chapati and phulka are made with whole wheat flour. 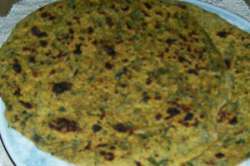 In addition to that, paratha, aloo paratha, palak paratha and many other types of breads, snacks are made using whole wheat flour. 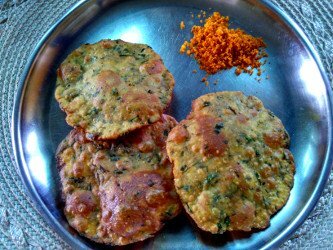 Indian fry breads such as poori, masala poori, palak poori are made with whole wheat flour. Millet flour as well as rice flour is also used in making breads such as bhakri, rotti and many snack recipes. 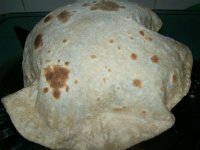 Sometimes these flours are mixed with whole wheat flour to make multi grain flour roti bread. Maida(plain white flour) is used commonly for making bakery products such as breads, cakes, biscuits and also for some roti-breads such as naan, paratha etc. Now many housewives want to use whole wheat flour in making these items for better health for their family. You can see the demand for atta breads, whole wheat flour breads, whole grain breads available in the supermarkets and bakeries going up everyday. Earlier these breads were made only with maida - plain white flour. In baking, using 100% whole wheat gives denser cakes and pastries. So it is better to use a part of whole wheat flour along with plain flour. You may replace up to 50% of the plain flour (maida) with whole wheat flour. That means, if the recipe calls for 2 cups of plain flour, use one cup plain flour and 1 cup whole wheat flour. That makes it healthier without changing the taste and the texture. For making instant dosa - pancakes, using whole wheat flour instead of white flour gives same results and taste with better nutrition. Only the color may differ a little. 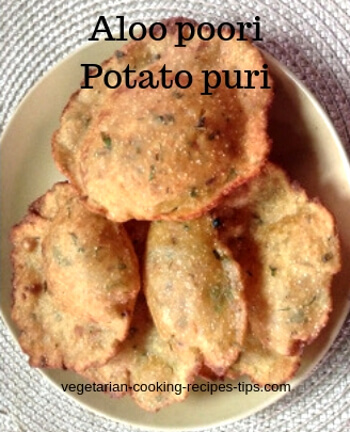 Alu puri is a Indian breakfast recipe. You may also serve it as a snack or take it for picnic. 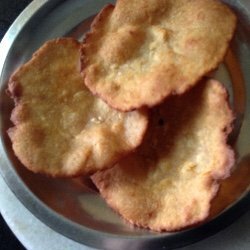 Indian snack recipe. 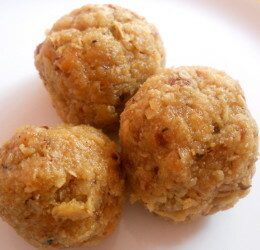 Leftover chapati laddoo - a Maharashtrian sweet made with poli / chapati.